The Adventures of Cassie: A few goodies in the mail. A couple of days ago I received my awesome order from Stephanie at Spoiled Rotten. She is an amazing bath and body "chemist" and I would strongly recommend her shop! 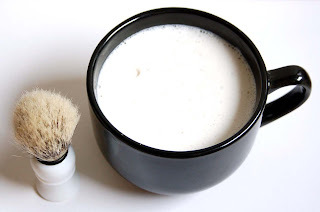 I got this GIANT mug of shaving soap that comes with a shaving brush for Nate, and I can attest that is gives a great lather and a super smooth shave. Plus it smells like peppermint! 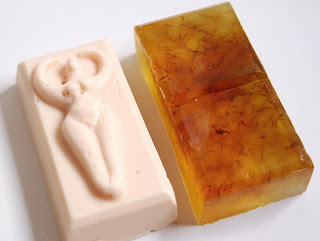 Next, I received some lovely handmade soaps with equally tantalizing smells (not to mention they are very eye-appealing)! 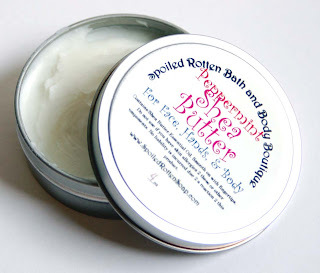 And last but not least, this peppermint shea butter is the BEST! I am a bit of a mint-o-phile, and this stuff takes the crown! I also have some exciting news on the spinning wheel front, and in the realm of school, but more on that later! You are the best. I will be purchasing some goodies from your shop very soon. Don't you just love getting your new things in the mail and these things indeed appear to be very blog post worthy, going to check out the shop now. 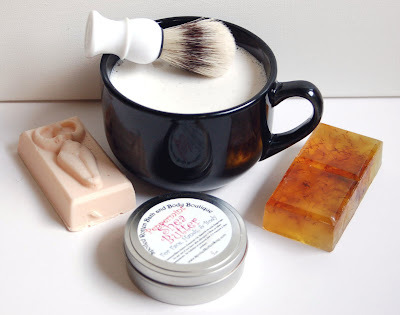 Now that's an interesting hobby to get into (making soap).... hmmm.... sounds like fun.